CirPal Connect 1.0 oz Compact Hand Sanitizer Antibacterial Gel. 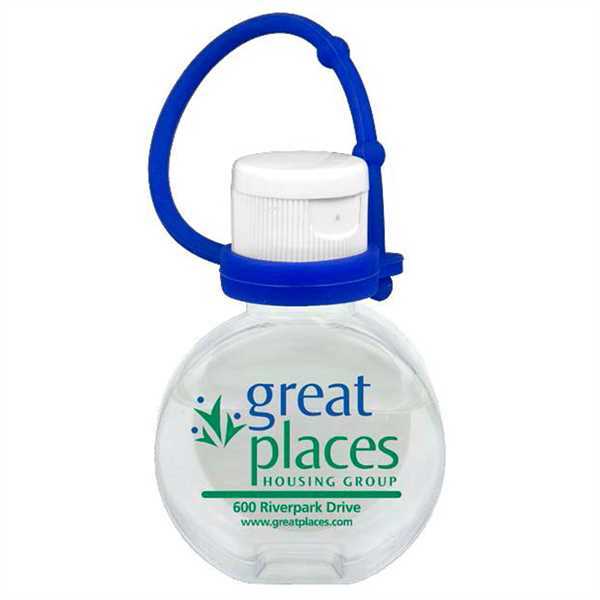 This standard size bottle with 1 oz of Citrus Scented hand sanitizer antibacterial gel travels easily and it's fun round shape provides a wider logo imprint area. Comes with a colorful leash to attach to a bag, backpack or anything you want for easy on the go access. Meets FDA standards. All sanitizer bottles include ingredient label on reverse side. Size: 1 1/2 " x 2 5/8 "
Price Includes: per color. Includes one color imprint, one location.